Fountain solution as an important raw material for offset printing process has a great influence on the quality of offset printing products. In order to make offset printing graphic printing ink bright, clear, blank parts are not sticky, must be based on the printing conditions reasonable allocation of fountain solution concentration, to avoid the printing process of poor printability defects, to ensure offset printing product quality. The concentration of the offset fountain solution is measured by the addition and discharge of the stock solution. How to accurately grasp the amount of fountain solution added and discharged, so that offset printing syrup to play the best effect, is a more complex issue. Because of the actual printing quality, it is not determined by one or two factors. Due to the difference in printing conditions, the fountain solution concentration must also be different. Therefore, there is no specific numerical standard for the concentration of the fountain solution. Instead, it can only be grasped by practical experience and using the methods of â€œprepress estimationâ€ and â€œprinting adjustmentâ€. In general, the following situations have a certain influence on the concentration of fountain solution, which is worth understanding and mastering. When the printed paper is loose in texture or contains sand and dust in the paper, due to the large viscosity of the printing ink, the paper wool and sand (powder) often deposit on the blanket, which will inevitably increase the friction of the printing plate film. It is easy to get dirty due to wear. In this case, the amount of liquid should be appropriately increased. When printing white and tough paper, especially when printing coated paper, the amount of raw liquid should be appropriately reduced. In order to prevent the use of more orange liquid, it will make printing paper yellow and affect the quality of printed products. Due to the difference in printing inks, the nature of pigments, oil content, oiliness, viscosity, flowability, and acid resistance are also different, and the reaction to the concentration of the fountain solution is correspondingly different. Therefore, the concentration of the fountain solution should be adjusted as appropriate. In general, the concentration of fountain solution used for printing red ink is higher than that of printed black ink, while black ink is higher than blue ink, blue ink is higher than yellow ink, and dark color is higher than light color. When printing multi-color plate products, the dry oil is added to the ink to speed up the drying of the ink. At the same time, the particles of the ink become thicker and the viscosity increases, so that the sense of grease on the blank area of â€‹â€‹the printing plate is increased, so that the paste plate is easily generated. Due to this situation, the amount of fountain solution should be appropriately increased. Due to the wide variety of printed products, there are both printed on-site layouts, as well as printed lines and dot layouts. If the layout is dominated by lines and solid shades, and the ink-receiving area is small, the concentration of the fountain solution should be adjusted to be larger, so that the blank layout is not easily sticky. If the whole plate is composed of dots, the amount of raw liquid should be reduced. As for printing plates with both the field and the dot, it should be considered comprehensively to ensure the stability of the printing quality. When the temperature of the printing environment increases, the molecular motion of the material will inevitably accelerate, and the fluidity of the ink will become thinner, and at the same time, more free fatty acids will be decomposed, and the printing plate will be prone to stickiness. Therefore, the dampening is appropriately increased at high temperatures. The amount of raw liquid. In the printing process, due to the increase in ink layer thickness, the amount of ink transferred in the ink fountain must also increase accordingly, and the amount of ink received by the layout graphics and text base has a certain limit. When the ink roller is used to brush ink, the ink layer must be pressed against the blank layout. Influencing its hydrophilic properties, it is necessary to appropriately increase the amount of dampening stock solution in order to maintain the relative stability of the hydrophilic properties of blank areas. In addition to the above, if the printing pressure is large, and the blanket and liner are hard, the concentration of the fountain solution should be appropriately increased to achieve a better anti-dirty effect. All the above-mentioned situations are relative, so when considering the amount of raw liquid to be added and discharged, it must be fully considered. In general, the principle of using as little liquid as possible should be taken into consideration, observe the changes in the conditions during the printing process, and adjust the proper concentration of the fountain solution in a timely and accurate manner so as to achieve the purpose of improving the printing quality. Having an aquarium is a good way to decorate your house or office. Many people start by having small tanks with a few fish and then upgrade to bigger tanks with more variety. There are two types of aquarium tanks, either fresh water or salt water, depending on the type of fish you keep. 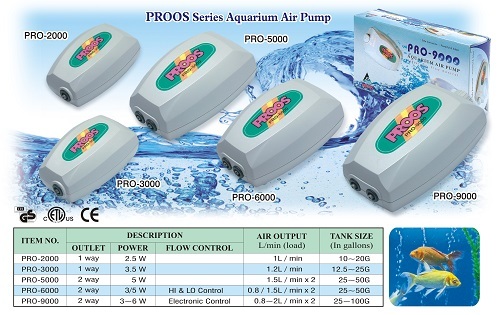 (freshwater or saltwater) There are also different set-ups, chemicals and accessories for each type of tank. 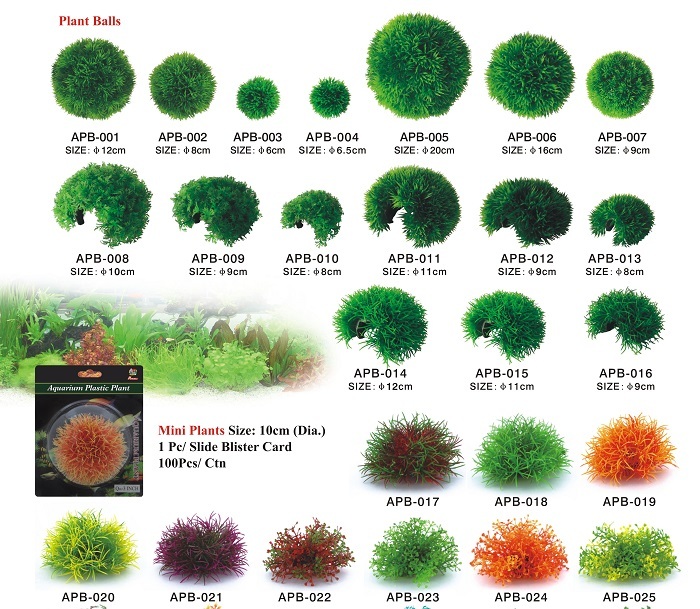 As an Aquarium goods supplier, we supply thousands of essential Aquarium needs. A huge range of aquaria, accessories, food and all necessary equipment to keep your tank clean and healthy. We supply a big range of tanks â€“ from small through to extra-large. We also supply cabinets to suit all sizes. We also supply glass reptile tanks and mesh wire cages for reptiles. For small aquariums we supply plastic tanks â€“ with or without handles â€“ ideal for desktops, counter tops etc. Our large range of air pumps comes in a variety of sizes and modes â€“ a big range of filters from small through to large. We carry a good range of heaters, lighting and skimmers, for fresh or salt water. Our range of accessories is second to none. Our cleaning products include aquarium vacuum cleaners, siphons, magnet cleaners, a range of tank brushes and water change buckets. For your tank filtering requirements we have a number of options. Ceramic rings, high active carbon, filter stones, volcanic rocks and soft water resins. For tank temperature monitoring, we have a complete range of thermometers, including classic glass, digital and hydrometers. Included in our range of accessories is a large selection of fish nets in various sizes, many sizes of air stones, brass gang valves and plant clippers and scissors. For tank decoration, we have natural gravels, coloured gravels, ceramic and polyresin ornaments. For botanical decoration we have an extensive range of silk or plastic plants in a huge range of styles and colours. We specialize in tank backgrounds â€“ we stock a large range of landscapes and seascapes â€“ in all colours of the rainbow. It`s enjoyable changing backgrounds for your tank â€“ you can alter the environment, depending on the variety of fish you keep. We supply a range of fish foods â€“ flakes, pellets â€“ in different sizes for different fish breeds. We also have extended feeders for vacation time or for weekends away. Blocks for various time frames â€“ automatic feeders â€“ No concerns about fish not being fed while you are away! Our range of medicines and water conditioners covers all bases. Water conditioners, water cleaner etc. for tank health. Health booster, white spot treatment, anti-parasite treatment and snail control products etc. 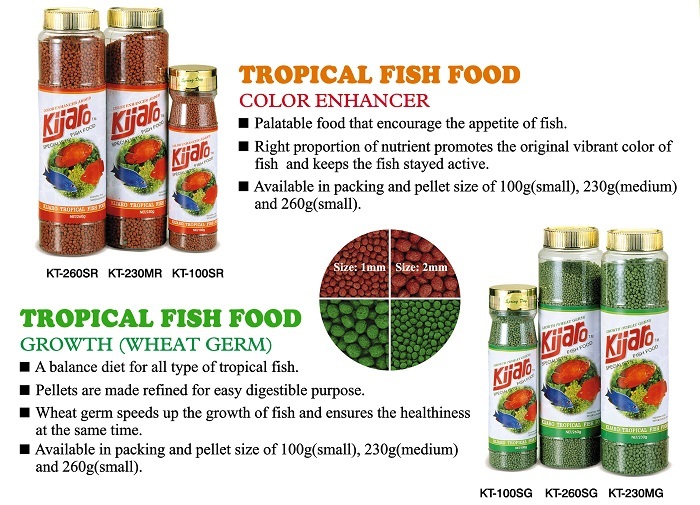 for fish health. 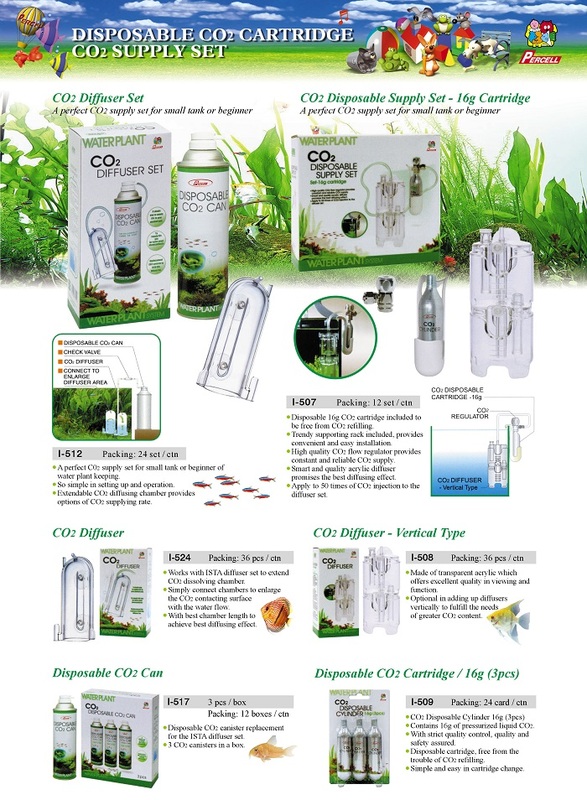 For salt water aquariums, we have aquatic hyperbaric regulators, CO2 aquarium cylinders, CO2 pressure regulators, CO2 diffuser sets and CO2 disposable supply sets etc. One of our advantages in supplying you with our Aquarium Supplies is that we have been in the business for almost four decades. We have a massive range of quality products. Our advantage is that we can supply a very large variety of products to you in smaller volumes than you may be required to purchase elsewhere. We are flexible in order volume - orders can be supplied LCL or full containers. MOQ can be discussed accordingly. Many of our customers have great ideas for Aquarium Supplies. If you have an idea, we are happy to discuss details with you, including volumes, costs and OEM etc. We can also help with developing products.